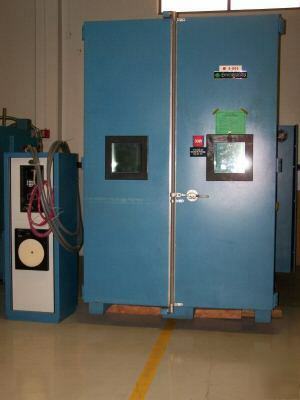 Manufactured in 2000, original cost $104,000.00, 480v 3ph 400 amp, the chamber was removed from working sevice and is in excellent physical condition. 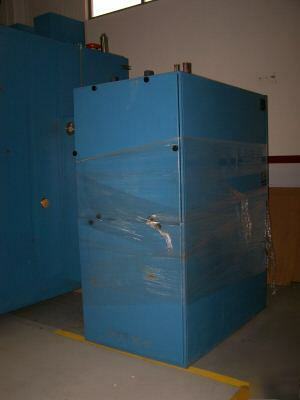 Includes chamber, controller and cooling unit. 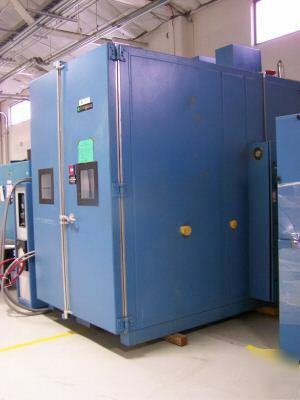 Dry air purge, systems plus controller, single 10hp compressor reciprocating, LN2 circuit, cryogenic, low temp, 280 cubic foot inner space. 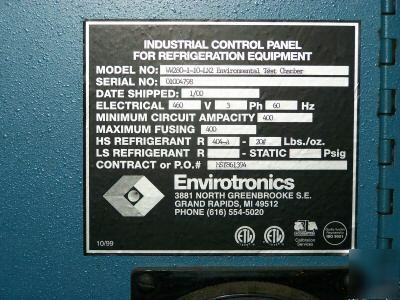 Please see Envirotronics website for more info. All California residents must add 8.25% sales tax, or provide CA resale card. We do our best to accurately describe the item for sale, however we are not responsible for typographical errors. Some of our items advertised may be used and have scratches etc. from normal wear. Any additional imperfections will be listed in the description.